TORONTO, Apr. 14, 2014 /CNW/ - Mohawk Medical Properties REIT (“Mohawk”), a private real estate investment firm, announced today it has acquired the premier medical office building in Belleville, Ontario through its third vehicle, Mohawk Belleville Opportunity Partners (I) LP. 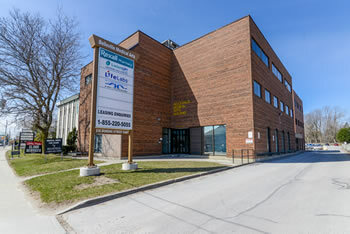 This approximately 37,000 square foot building called “The Belleville Medical Arts Building” is a full service medical office building serving the City of Belleville. The 100% medically tenanted building has a full compliment of medical services including pharmacy, laboratory, X-Ray, ultrasound, audiology and an infusion clinic. Physician types include general practitioners, OB/GYN, dermatologist, ENT and orthopedic surgeon. Equity financing was sourced through a non-brokered private placement. Timbercreek Senior Mortgage Investment Corporation provided first mortgage financing. Concurrent with closing, Mohawk has launched its property management division called Mohawk Medical Management Corp. (“MMM”). MMM is a proud team of experienced professionals executing ‘best in class’, medical specific, property management and leasing services. They provide a level of care, concern and dedication that can only come from the owner of the real estate. These property management services are specially designed to meet the unique needs of medical practitioners. Mohawk is delighted to announce the addition of Jennifer Silvello. As a veteran of Dundee and Summit REIT, Jennifer has overseen more than 10 million square feet of leased space involving over 1,000 tenants across ten years of experience in the property accounting field. Mohawk Medical Properties REIT is an opportunistic, Toronto-based private real estate investment firm focused on creating value through development, re-positioning, re-tenanting and property turnaround of Canadian medical office buildings. Its general partners Sean Nakamoto and Andrew Shapack, whose combined track record includes over 60 medical office building acquisitions, draw on their experience to manage this aggressive investment platform expressly designed to capture the current opportunity in the Canadian medical office field.